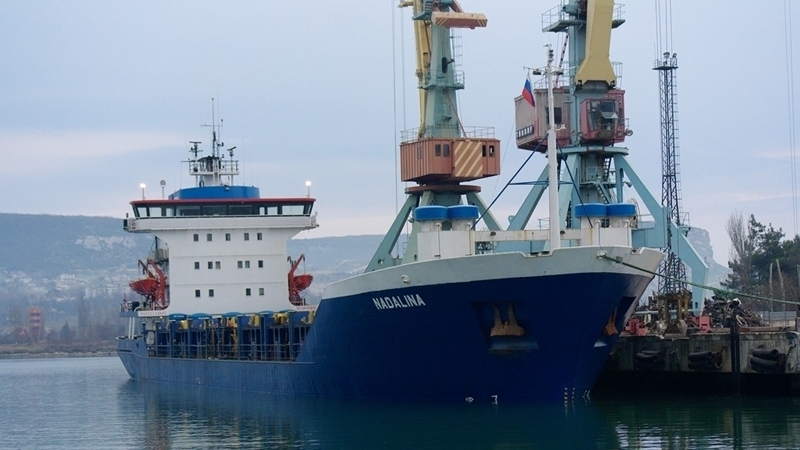 NADALINA dry cargo ship visited the closed sea port of the occupied Sevastopol. The Ministry for Temporary Occupied Territories and Internally Displaced Persons recorded an illegal entry of ship from Libya under the flag of Sierra Leone into the port of Russian-annexed Crimea, according to the report on the ministry's website. “On September 8 at 16:39 the entry of NADALINA dry cargo ship with the flag of Sierra Leone to the port of Sevastopol was observed. The vessel arrived from the Libyan port of Tripoli, which it left on August 30,” the report said. It is worth noting that in 2016 the Ukrainian border guards detained Sky Moon ship for calls to the Crimea, and in May 2017 it was confiscated in favor of the state. It is also known that on August 1, the border guards of the Odessa Maritime Detachment detained a San Porfyrios vessel under the Belize flag in the Ukrainian waters of the Danube River, which in 2014-2015 repeatedly visited the closed ports of the Crimea. “The entry of vessels under foreign flags into closed seaports and terminals located on the territory of Crimea and Sevastopol are considered as a violation of the norms of international law and as actions that undermine the sovereignty of Ukraine and also as a violation of the legislation of Ukraine, which entails the responsibility of ship owners, operators and captains, including criminal one,” the ministry emphasized. Reference: The Ukrainian seaports located on the territory of Crimea - that is in Yevpatoria, Kerch, Sevastopol, Feodosia, Yalta - were closed on the basis of the Cabinet of Ministers Decree of April 30, 2014 and in accordance with the order of the Ministry of Infrastructure of Ukraine on June 16, 2014.